No tricky steps needed to make this wreath! Separate each carnation stem from the bunch, by clipping with wire cutters. Cover the wreath form by simply pushing the wire stems of the carnations into the form. 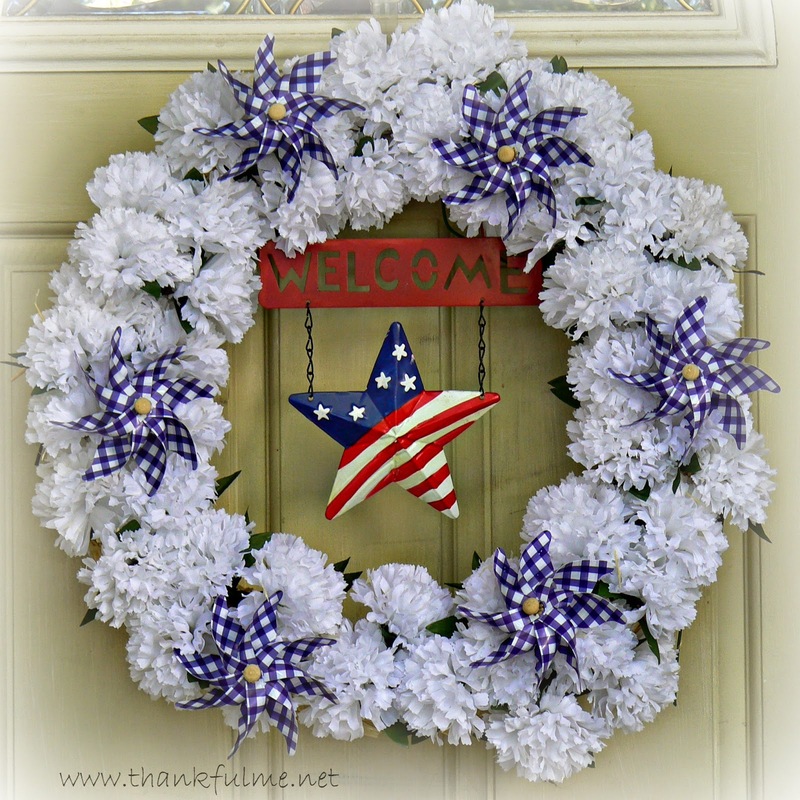 Add the windmills by pushing the wooden handles into the wreath form. Break any handles that are poking out the back. Hang the wreath, then hang the welcome star on top. Thanks for those who have sacrificed for our freedoms. Thanks! I didn't even glue gun this one--just stuck things in. I should make one for summer. Thank you. It's a very simple craft, but the result makes me smile. I love it! And you can use it for 4th of July which will be here any minute, I'm sure! Oh, yes. It will be staying up all summer long. That wreath is very cute! The windmills really add to it. I actually planned the whole wreath around those windmills. They were so cute, I just had to do something with them!